We have over 80 chapters baking a difference across the country and internationally, and each one brings their own unique flavor. Today we’re sharing more about Challah for Hunger at Indiana! 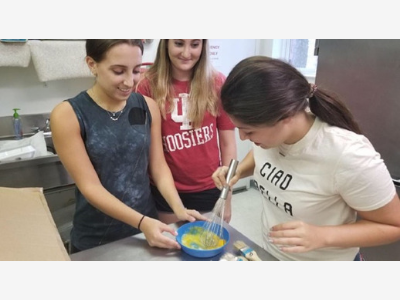 Here, chapter Communications Coordinator Peleg Rafaeli tells us about Indiana’s mission and how they’re sharing CfH with their campus community. She also gives us a bonus look at the chapter through a cool video! Here at Challah for Hunger at Indiana University, we believe we can make a difference through baking. We are just as passionate as every other Challah chapter, but we also believe we can be unique in what we do. Our chapter started just over 4 years ago when our Hillel agreed to embark on this adventure. The members at the time began by walking through our beloved college town of Bloomington and selling fresh challah to anyone they saw. This worked for a short period of time, but members slowly realized that on a huge campus like IU’s, not many people know what challah is! 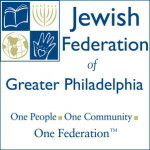 Ever since, it has been our mission to educate students on this Jewish tradition, what it means to us, and how it can mean something completely different to everyone. To us, baking challah means creating hope. We use challah to spread positivity and happiness. Our bakes are full of fun, inclusion, and conversation about today’s world and how we can improve it. We recently began to use “tabling” as a method of reaching a wider array of students to purchase our challah. 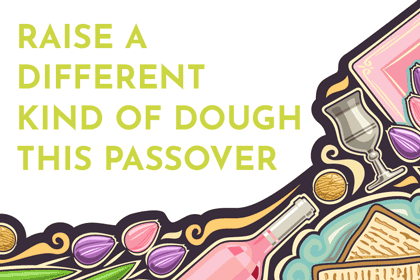 We station ourselves at residence halls throughout campus for several hours with samples of delicious challah and let every passerby try a piece. This has helped our sales and participation at bakes, and also helped us create what we believe is our small impact on a large college campus. Every challah we bake is just a small symbol of the positivity we share at IU and beyond.